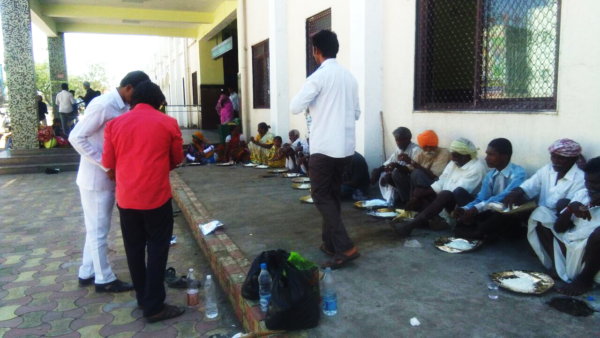 Immanuel Ayya, I am sending few of our feeding for poor program pictures. Ayya, thank you so much for your kind and valuable financially support for Feed for Poor in our area. This program so valuable and very necessary for beggars, poor and orphans, hopeless people in our area. We are so thankful to you, and I hope you will please assist and encourage continue this Feeding for Poor program in our area. Ayya we are praying for you, your family, your A.C.G.C. every day. 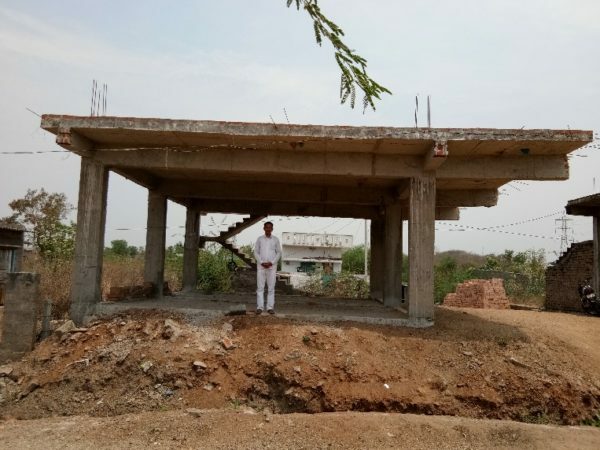 I hope you will pray for our Mahabubabad main church building construction finish and needs. We so proud of you and loving you so much. 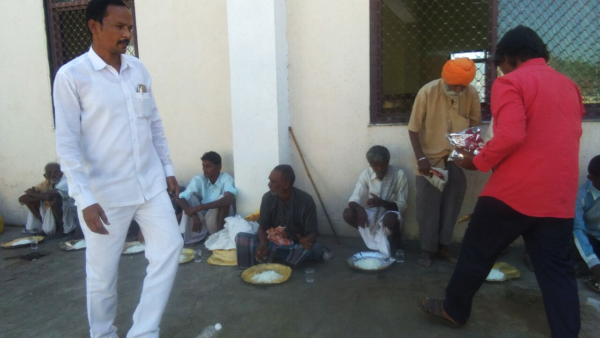 Feeding the poor outside the railway station at Mahabubabad- Pastor Balu Nayak at left front.